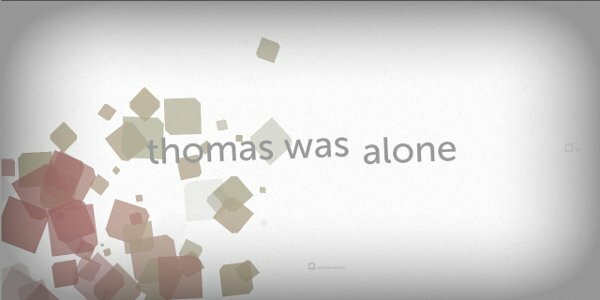 Thomas Was Alone was one of a handful of games I picked up with the Humble Bundle 8. 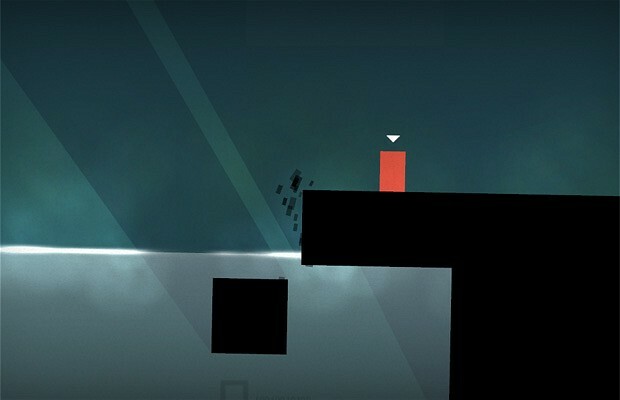 Described as a "minimalistic puzzle platformer," I found myself in charge of a small red rectangle named Thomas. And he was indeed alone, though not for long. Within the first hour of play, I encountered four 4 other quadrilaterals, each with their own distinct personalities. 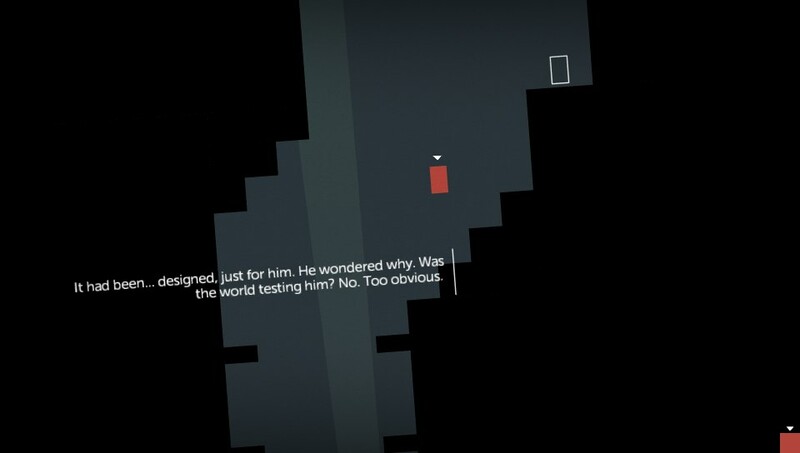 Those of you completely unfamiliar with Mike Bithell's Thomas Was Alone may think it crazy to describe a group of squares and rectangles as "distinctive," but I have yet to find a more fitting descriptor. From the start, the music, the aesthetics, and especially the narration build one of the most enjoyable platformers I've ever played. While Thomas Was Alone is certainly capable of standing on its design and gameplay alone, it's the personality and Douglas Adams like cheek added by narrator Danny Wallace that sends this title skyward. The third person narrative is amusing and heart warming, giving the players a stronger connection to these colored blocks. Similarly, the music by David Housden provides a lovely backdrop to the black landscape and flickering backgrounds. Equal parts ambient and inspiring, the melodic swells and relaxed beat drove me forward and made the game feel more like a place I wanted to stay for a while. The puzzles in Thomas Was Alone are inventive and clever. Many have more than one solution, and in the two hours I spent playing I never found myself stuck. The solutions present themselves very intuitively; it's getting there that presents the real challenge. I found myself stacking characters in some areas to reach otherwise inaccessible ledges or buttons. Along the way, the minimal environments do a wonderful job of calling your focus to the characters, the only colorful things in the game. Being the center of attention brings out a lot in the characters, though mostly imagined. The fact that the characters shapes convey their personality so definitively still baffles me. Every bit of the game is directly focused on these little blocks, so much so that grown quite attached to them. I'm truly captivated by Thomas Was Alone. I want more, and I'm sad that the game isn't longer. My gluttonous appetite for colorful quadrilaterals is strong. I don't think the game is too short, two hours is just right for this little story. But just as we don't want to let go of things we love, I'm disappointed that my boxy friends and I don't have more adventures ahead of us.